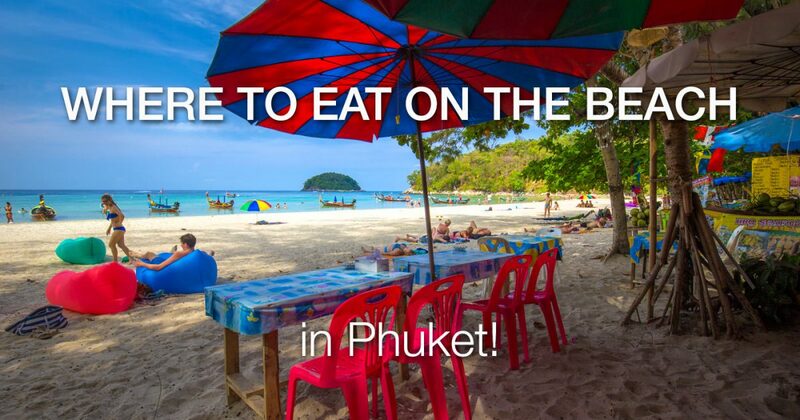 Eating on the beach at one Phuket beach restaurants is a great way to make the best of your tropical holiday. 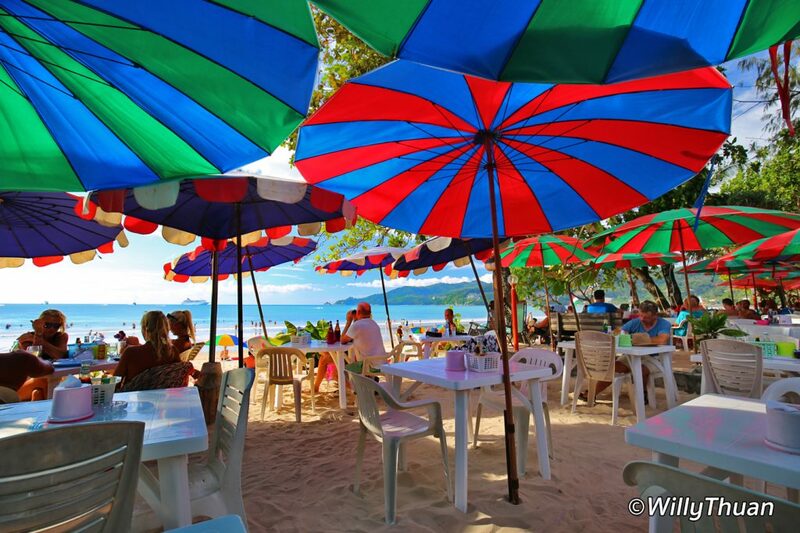 Thai food is excellent and cheap; the weather is warm all year round, the sea offers a fantastic backdrop, and the sand is so soft under your feet. In this page we only talk about the restaurants set right on the sand and not the restaurant ‘close’ to the beach: Our choice is all about having lunch or dinner ON the sand. 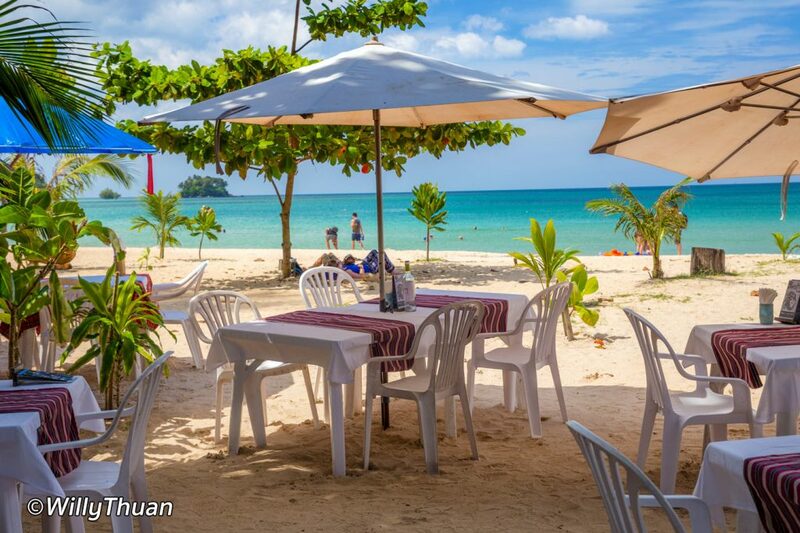 Beach restaurants were a common thing in Phuket before ‘the big cleanup’ of 2015, but most restaurants and beach clubs were illegally built and therefore removed the hard way. 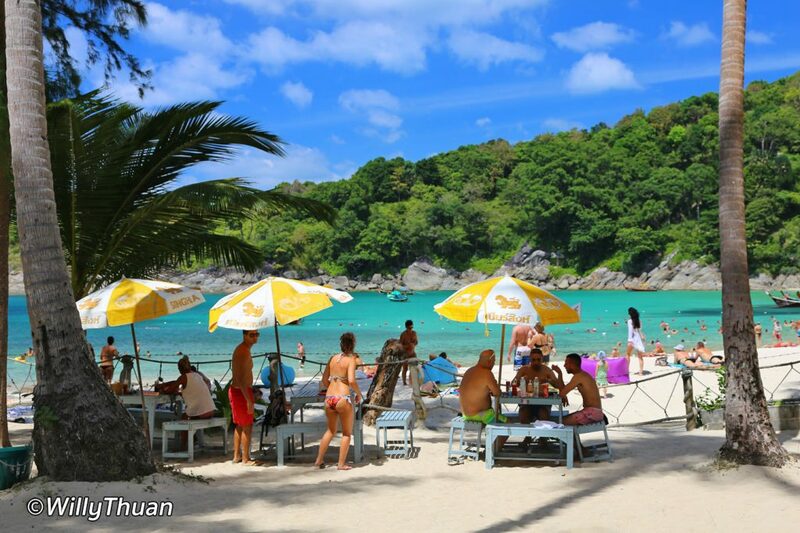 Surin beach was trendy for the many great restaurants and clubs you could enjoy until late. All those are gone, and Surin is now back to its natural state. A more recent example of this happened at the very popular Laem Singh Beach, and no one saw it coming. 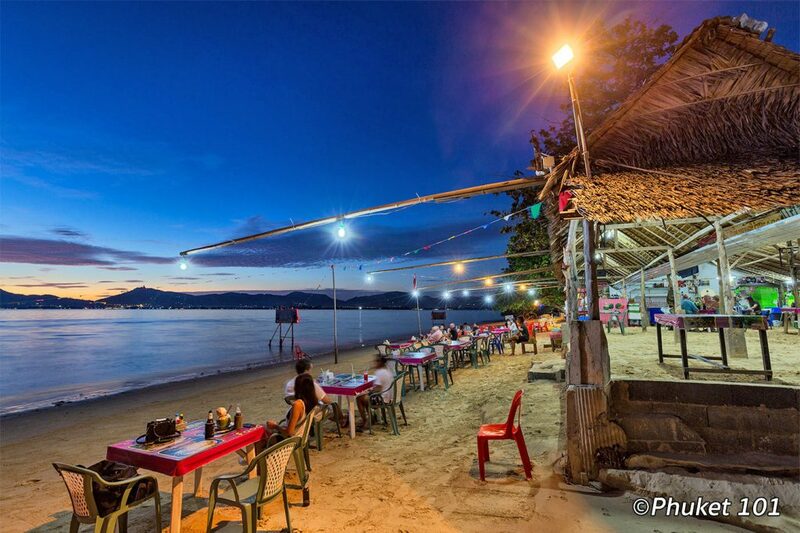 Laem Singh Beach was a great place to hang with trendy restaurants operating for more than 2 decades such as the famous ‘Da Ali’. One day the owner of the land closed, and that was the end of it. There were a few years of uncertainty and having a ‘legal’ restaurant on the beach was a rare luxury. That was without considering Thai creativity. Today, once again, you can easily enjoy a beach lunch or dinner. Here is a list of places where you still can eat on the sand or close to eat on the sand (or close to it). Surprisingly many travellers miss those places entirely even though they probably walk nearby. 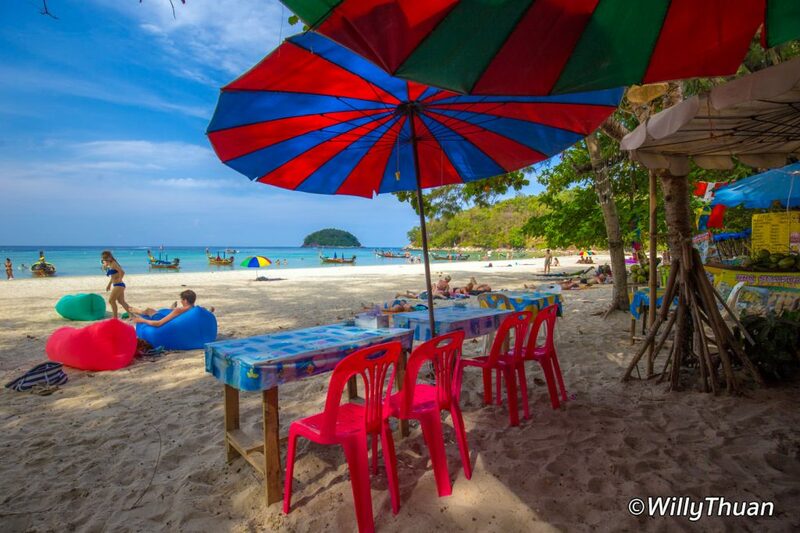 Beach restaurants were a common thing in Phuket before ‘the big cleanup’ of 2015, but most restaurants and beach clubs were illegally built and therefore removed the hard way. 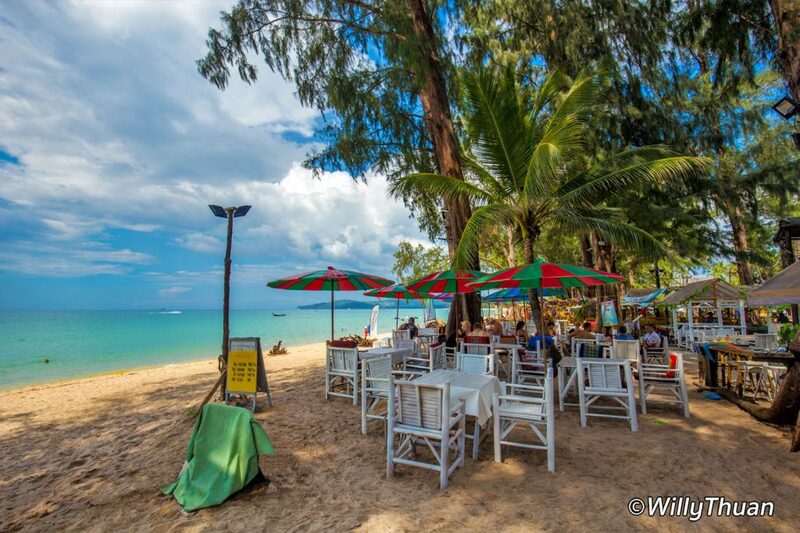 Surin beach was trendy for the many great restaurants and clubs you could enjoy until late. All those are gone, and Surin is now back to its natural state. A more recent example of this happened at the very popular Laem Singh Beach, and no one saw it coming. Laem Singh was a great place to hang with trendy restaurants operating for more than two decades such as the famous ‘Da Ali’. One day the land owner closed the access to the beach entirely, and that was the end of it. 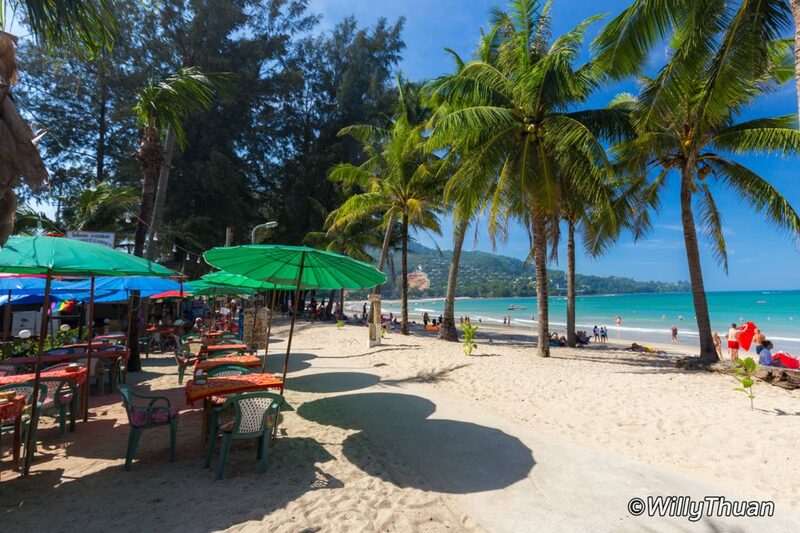 Kamala Beach has a lot of restaurants, bars and local food vendors lined up along the central part of the beach. At the contrary of other beaches, restaurants here are shops build with concrete so while the views are strikingly beautiful, the feeling might be a little less exotic than in Kata or Bangtao beach. Here too it is difficult to predict which will be open or closed on the day you arrive but overall this part of the beach is doing well. There is a little concrete path between the restaurants, and the beach but the thing blends so well, it’s a fantastic place to relax. Those beach restaurants are a great place to have your holiday breakfast! It’s affordable, and the view of the blue ocean is unbeatable. There are many names, and it’s a little difficult to recommend one in particular. Further north, you can enjoy a more sophisticated dinner or some tapas at one of the beach clubs: Cafe Del Mar and HQ Beach Club. Bangtao Beach used to have some famous seafood restaurants built on the beach, but those are long gone. In recent years, restaurants owners adapted to the land restrictions and found new ways to serve lunch or dinner on the beach. Since then, business is flourishing, and there must be at least ten restaurants lined up next to the Outrigger Resort! 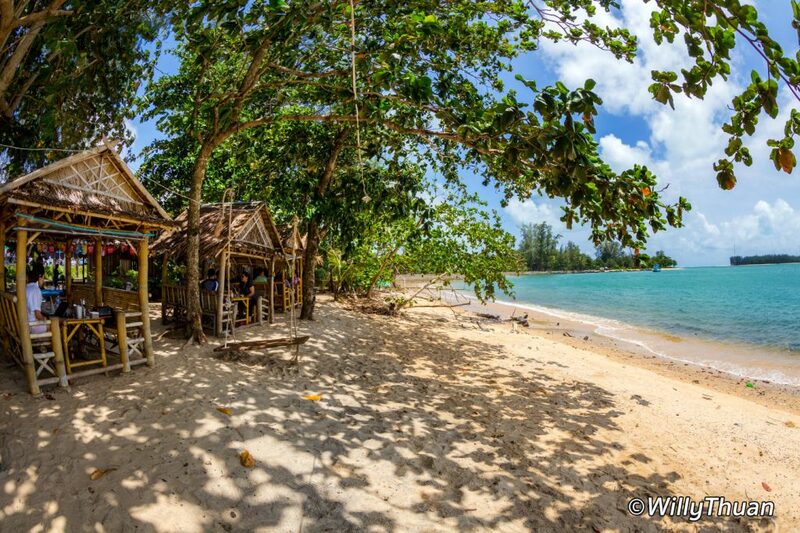 Those restaurants and bars are quite cheap, all made of bamboo and palm roofs in the shade of Casuarina trees. Just go there and pick any, ultimately they are more or less serving the same food, each with their speciality. Those restaurants are really on the sand and just as expected; there are a lot of reggae bars nearby to relax before and after dinner. For a while, the only option was to dine at Casuarina Restaurant at the Dusit Thani Resort but it, of course, being a 5-star hotel it is more expensive than local restaurants. Nai Yang Beach is a bit of a hidden gem if you enjoy spending a day on a beach we could consider a more ‘local’ beach. The beach is immense with a lot of trees around, and it is quite peaceful for being away from the main roads. There are only a handful of hotels near the beach, and a few restaurants set right on the sand. The setting is very relaxing, and we love to stop there after our exploration of this part of the island. Sea almond restaurant serves wine and an exciting choice of local craft beers.